Kon-Boot has updated to support macOS Sierra systems, allowing you to login into the system without knowing the previous passwords/user names. By virtually modifying the EFI bios and then modifying parts of the kernel. The changes are only made in virtual memory and they disappear after reboot. 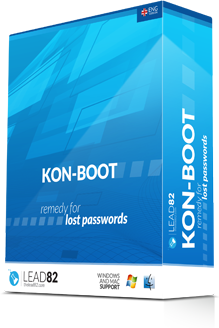 Kon-Boot allows you to either login into selected account without knowing the password (bypass mode) or it will create new “root” account for you (new-account mode) from which you will be able to change other users passwords as needed. As a RepairTechnician or Penetration Tester this product is well worth the money for the time you save. Filippo lost his OpenBSD Full Disk Encryption password and is taking the time to figure out a way to extract and bruteforce the password, it’s currently a work in progress but a great way to learn. 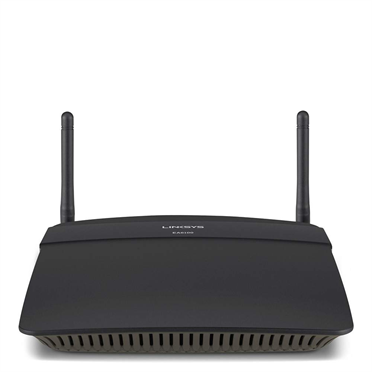 Multiple CGI scripts in the web-based administrative interface of the Linksys EA6100 – EA6300 Wireless Router allow unauthenticated access to the high-level administrative functions of the device. This vulnerability can be leveraged by an unauthenticated attacker to obtain the router’s administrative password and subsequently arbitrarily configure the device. Kon-Boot is an application which bypasses the authentication process of Windows and Mac based operating systems. This Kon-Boot version works with both 64-bit and 32-bit Microsoft Windows up to version 10 and Mac OSX Mavericks. Works from a Cd, floppy, or USB. Also supports UEFI based systems. It also includes special feature which gives you a command prompt with system level privileges at the login screen. Easy to use and excellent for tech repairs, data recovery and security audits. They offer personal and professional licences and well worth the cost. Buy your copy today! If you’ve got an Android 5 smartphone with anything but the very latest version of Lollipop on it, it’s best to use a PIN or pattern to secure your lock-screen. Offline NT Password & Registry Editor, finally got an update last month after a 4 yr hiatus. The new version of this awesome bootdisk includes support for Win8.1 and a working ‘promote user to admin’ feature among other fixes and driver updates. samusrgrp: a command line tool to add users to groups or remove users from groups. Users and groups must be local (cannot be domain / AD). It can also list the groups with their members in several forms, the output can be used in scripts of course. Listing groups will also list domain users that are members of the group (if any), but it will not be able to look up the name, so it will be listed as a SID only. sampasswd: Password reset from command line (scriptable) Or list users in SAM file in a few different formats. The best password bypass program out there has been updated. A few bug fixes and support for Windows 8.1. A must have for any computer technician. I use the product almost daily @ my shop. Whenever a customer drops off a Windows computer and doesn’t know their wife’s/kid’s/gf’s password, or I’m doing on-site work and Mary the secretary is on her lunch break and I need to update her locked computer, this is my goto program. It’s better than a password reset because along with that you also destroy other saved passwords for internet explorer, google products, etc that all use the CryptProtectData function along with your logon password to encrypt data. Watch the video to see how easy it is to use. And best of all is the price: $15 for personal license & $75 for Commercial license. The time it saves is definitely worth it 10x over. p.s they also have an Apple Mac version too. Microsoft GINA technology which stands for Graphical Identification ‘N Authentication is responsible for graphically handling logon requests when events such as CTRL-ALT-DEL are received. Tyler Wrightson finally released his modified GINA stub that silently logs usernames and domains for XP and Win2k. You can dpwnload it ::here::. More information about how GINA works can be found in his excellent blog post. This will not work for Vista and later Operating Systems, as they have switched to the Credential Provider model. Microsoft claims the reasoning behind this is to make it easier for developers to meet the demands for next generation authentication technologies (like biometrics, two factor and single sign on). Have no fear he also released a version for Vista/7 ::here::. More information can be found in his blog post.